Iron (Fe) can drive Joplin area homeowners crazy with its ability to make its way into a water supply, affecting everything from the metallic taste of food and drink to stains on clothing and fixtures. Here are the four types of iron found in water supplies, and what you can do about it. And it can cause a number of issues with your home, as well as in your food and drink. This type of iron has been exposed to air and oxidized, and gives the water a rusty color. 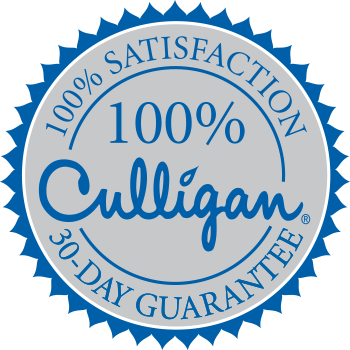 Red water iron can be removed by a water softener, but a more common treatment is an iron filter, which Culligan offers as a part of its whole home solutions . The state-of-the-art Iron-Cleer® iron water filter solves iron and rust staining, leaving you with nothing but clean water in your sinks, fixtures, dishes and clothes. Ferrous “soluble” iron is an invisible dissolved solid that can appear after coming out of your faucet. This type of water is low on oxygen and usually comes from deeper wells and groundwater sources. Clear iron is dissolved in water and can not run through a typical iron filter — only chemical-aided changes can absolve the water of this substance. The most common way to treat clear iron is with a Culligan water softener , which can remove clear water iron through ion exchange, particularly if your water supply has a low pH. Other options, such as chlorination and manganese greensand filtration require maintenance and the proper amount of pressure. Generally, organic iron is Fe combined with any dissolved organic matter in the water, such as tannins. A tannin is a biomolecule produced by vegetation that stains liquids, including tea, coffee and wine. When tannins react with water containing iron, it creates a black residue. This usually occurs in shallow wells that are affected by groundwater. You can physically remove the sludge from your toilet tank or use “shock” chlorination methods, but this is merely a temporary solution. The only way to reduce the amount of iron bacteria is to reduce the amount of iron itself. Schedule a FREE water test today to find which is the best solution for you. Iron combines with tannins or organic acids to make organic iron. This water can be colorless, but usually is brown or yellow. . In coffee or tea, tannins produce a brown color and react with iron to form a black residue. Organic irons mostly occur in shallow wells, or wells under the influence of surface water.